With great thanks with Fuji Heavy Industries & Subaru Technica Internatinal.ltd. 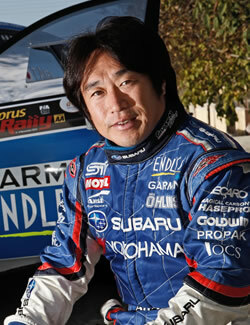 I managed to start my company to take part in WRC as "SUBARU TEAM ARAI" in 2004. 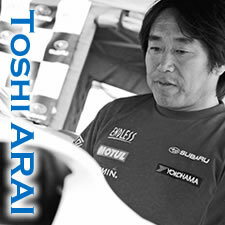 Our purpose is to spread my know-how and experience throughout WRC, and sprewhat is the real world class rally. We will aim to grow the world class competitive drivers also engineers and mechanics. Basically, wekeeping on participate in world rally championships, then would like to develop and provide vehicles and their equipments. Anyway, it is necessary to get good rally results myself to achieve our target.